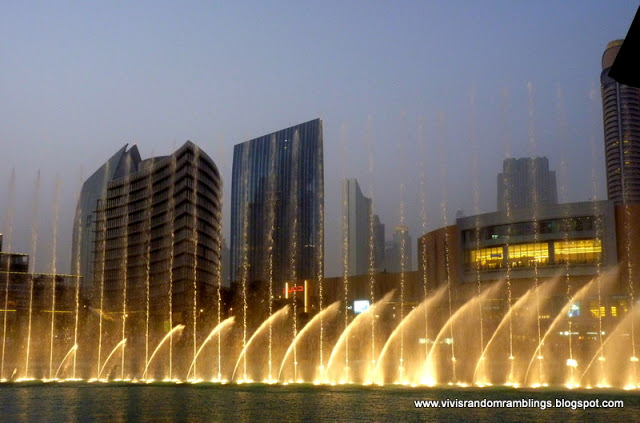 Dubai is a home to so many superlatives. 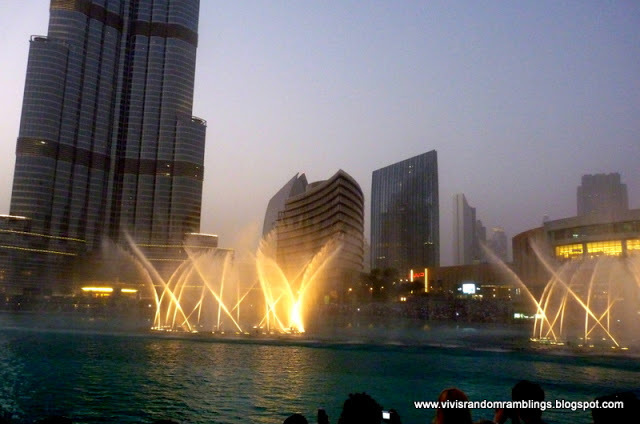 the Largest man-made island in the world –The Palm Island, the largest mall in the world by total area – The Dubai Mall, one of the very few 7-star hotels in the world – Burj Al Arab, and for Burj Khalifa (take a deep breath..) – the Tallest manmade structure in the world, the Tallest Building in the World, the Tallest free-standing structure in the world, the Highest number of stories in the world, the Highest Occupied Floor in the World, The Highest outdoor observation deck in the world, the World’s highest residential floor, the World’s highest Mosque, the World’s Highest Restaurant, the World’s highest Night Club, the Highest Swimming pool in the world, Elevator with the Longest travel distance in the world, the Tallest service elevator in the World and one of the fastest elevator in the world! whew! 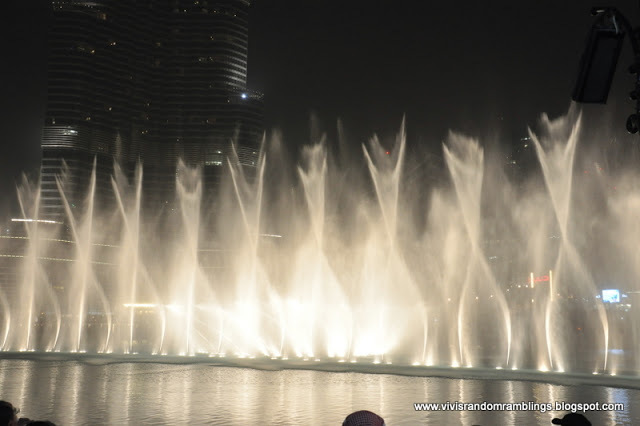 Dubai is so much into record-breaking!! 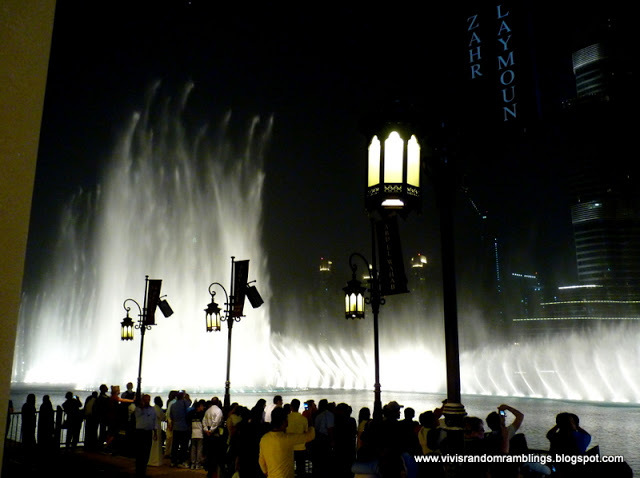 But wait, here’s another one.. one of the world’s most spectacular Fountain .. 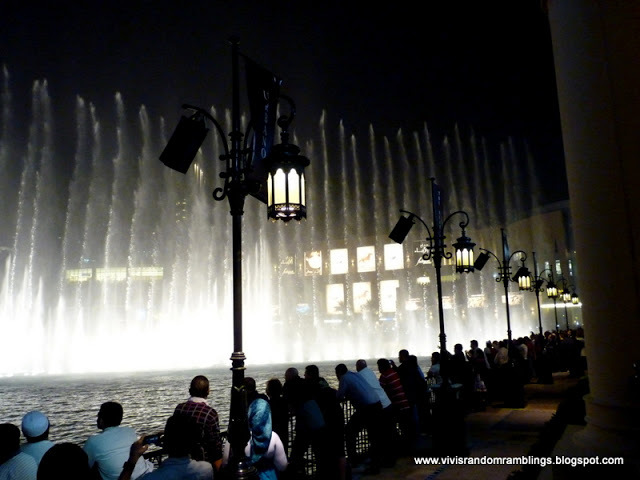 The Dubai Fountain! 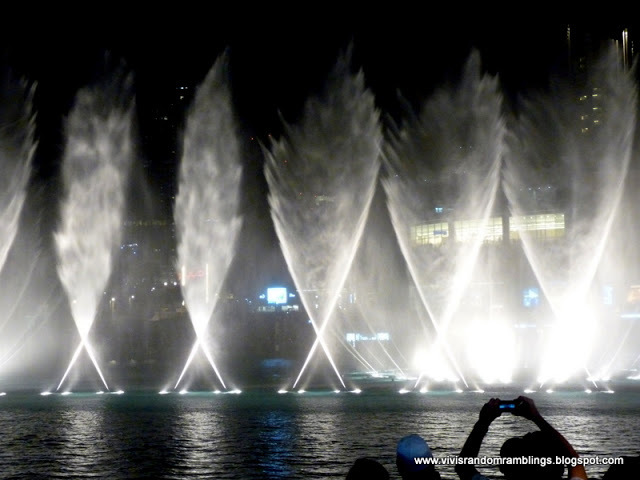 As of this writing, out of 82 tourist attractions in Dubai, The Dubai Fountain (also called the Dancing Fountain), is the #1 most voted by travelers (TripAdvisor) as the the best attraction in Dubai. 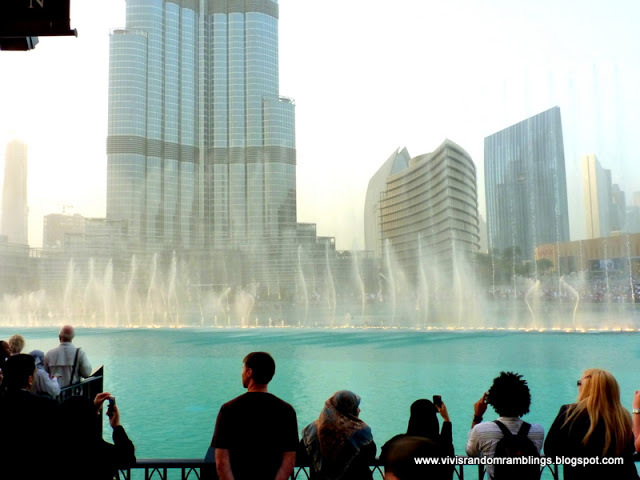 It is located at the center of the Downtown Dubai set on the 30-acre manmade Burj Khalifa lake. 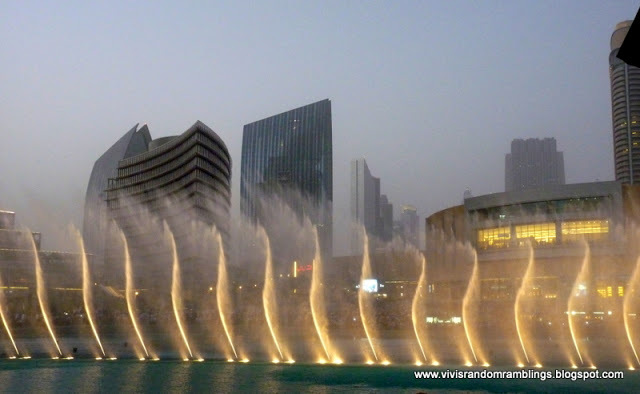 The fountain is 275 m (902 ft) long and sends water over 150 m (490 ft) into the air. 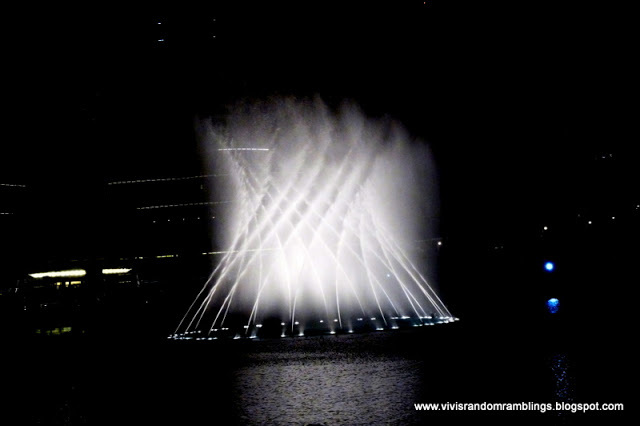 A breathtaking extravaganza of water, sound and light. 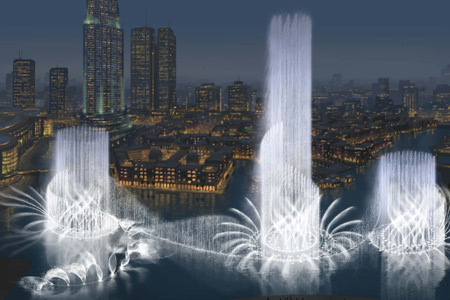 More than a thousand unique water expressions accompanied by a wide range of tunes,with over 6,000 light and color projectors. And the best of all?? 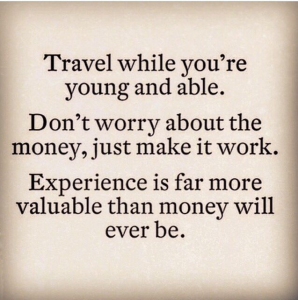 It is FREE! 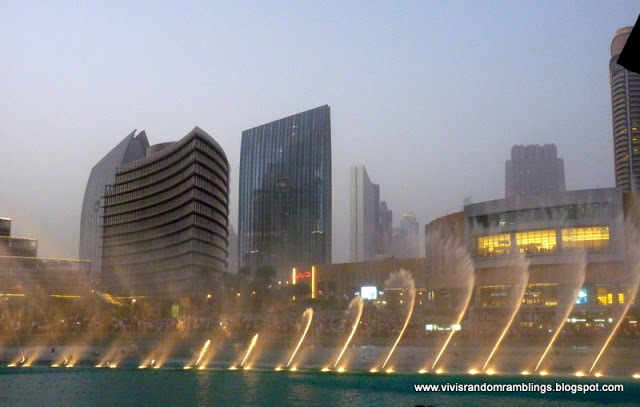 Every 20 minutes, from 6:00pm to 10:00pm every Sunday to Wednesday, and 6:00pm to 11:00pm every Thursday to Saturday. 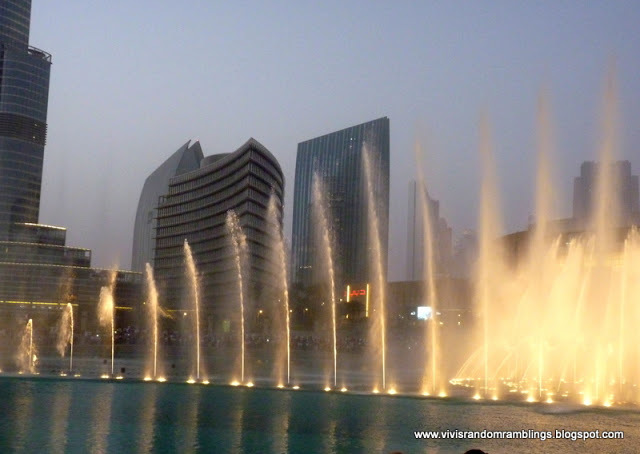 – Vivi’s Dubai Desert Safari Adventure at Hatta, Oman Rd.